Those who criticised the call for abrogating the 56-year-old Indus Water Treaty (IWT) as an “irrational reaction”, observed that India can’t be oblivious to the fact that unilateral tinkering with the treaty could have implications to water-sharing arrangement with Bangladesh, China and Nepal. The critics are not really far from truth when they stoke this fear of a backlash from neighbours. While 2016 has seen conflicts between Karnataka and Tamil Nadu over Cauvery water and squabble over the Mahanadi River, the dispute over sharing Krishna and Godavari rivers has become as old as legends. In fact, the problem over sharing of the Mahadayi River is an example how law and order situation can go for a toss at the slightest provocation. The Centre knows how scarcity of water and a sense of being deprived can quickly spiral into violent protests causing damages to properties and human casualties. The situation looks more alarming as a UN report estimates that by 2030, water demand in India will grow to almost 1.5 trillion cubic metres from approximately 740 billion cubic metres (2010 estimate). Trans-boundary rivers are important for the development of all riparian regions and it’s no different with the Brahmaputra River. As an upstream riparian region, China maintains an advantageous position and can build infrastructure to intentionally prevent water from flowing downstream. Owing to previous tendencies where the Chinese have been reluctant to provide details of its hydro-power projects, there’s a trust deficit between the two neighbours. China’s dam-building and water division plans along the Brahmaputra (called Yarlung Zangbo in China) is a source of tension between the two neighbours, despite the two having signed several MoUs on strengthening communication and strategic trust. As lower riparian countries, India and Bangladesh rely on the Brahmaputra’s water for agriculture. 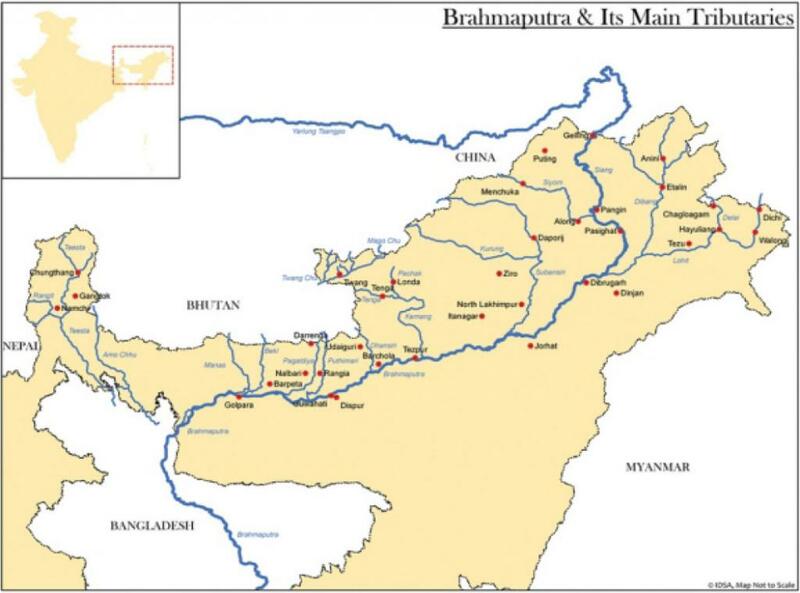 China has now plans to build four more dams on the Brahmaputra in Tibet. Both New Delhi and Dhaka worry that these dams will give Beijing the ability to divert or store water in times of political crisis. India, for its part, has built dams on the Teesta River, a tributary of the Brahmaputra, to utilise the flow of the Teesta during the dry season. This prevents the river from supplying irrigation water to Bangladesh–the last stop on the Brahmaputra before it drains into the Bay of Bengal. Remember, some 100 million Bangladeshis rely on the river during the dry season. India recollects 2008 Bihar floods with pain. The Kosi embankment near the Indo-Nepal border broke on August 18, 2008, causing the river to change its course. It affected over 2.3 million people, destroyed 300,000 homes and 800,000 acres of cropland in north Bihar. Going by the experts’ opinion, this tragedy was allowed to happen. Since 1954, when the Kosi Agreement was signed between India and Nepal, talks between the two governments have stalled and water rights issues have not been addressed. As a result, the first dam had remained neglected for decades and a proposed partnership for a second dam didn’t take off. Nepal, which is reeling under poor sanitation and power blackouts every day, intends to find a place as a hydropower hub of Asia. The country is exploring opportunities to provide for its own power needs as well as those of its neighbours. The violence over sharing the Cauvery river water and the government’s failure to implement orders of statutory tribunals left India’s neighbours dismayed. Although they want agreements with India on trans-boundary rivers, they are not sure whether India will have the earnestness to enter into agreement and the ability to implement the provisions in the agreement that may be signed. During an International River Symposium held in Delhi this September, many water experts from Nepal and Bangladesh expressed concern over the effectiveness of discussing equitable water sharing arrangements. Sceptical about India’s capability of respecting international water agreements, an expert from Bangladesh wondered whether India’s federal structure is holding up important bilateral treaties, including the Teesta agreement, despite the efforts of the Centre. When it comes to Teesta Agreement, the 2012 report by the river expert Kalyan Rudra had stated that there’s already a shortage of water in the Teesta River since India had been building hydropower projects upstream. 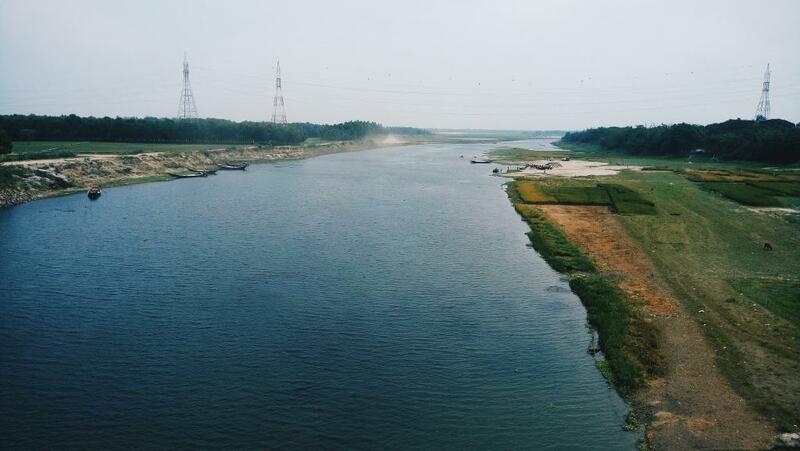 Another issue at hand is the extent to which North Bengal is dependent on river Teesta for water. The West Bengal government wants an assurance from the Centre that North Bengal should not be affected by the deal. What role does water play in stimulating international conflict? Water remains a politically contested issue in much of South Asia. The region is facing water shortage and agrarian difficulties, and it will continue to face increasing demands on energy and water with rapid industrialisation. Over-extraction of groundwater is of particular concern, with an estimated 23 million pumps are in use across Bangladesh, India, Nepal and Pakistan. Moreover, salinity and arsenic contamination affect over 60 per cent of groundwater in the Indo-Gangetic plain. Combine these factors with the impact of climate change that’s reducing the amount of water in the Brahmaputra basin and changing the patterns of water flow. Under such circumstances, the increasing need for power and stable water levels could prompt reconsideration in bilateral water-sharing treaties in future. Freshwater is a precious commodity and a strategic asset whose importance in geopolitics cannot be underestimated. 1) International Issue: It's not a domestic issue so whole world will observe Indias strance and attitude. We the nation of peace and humanity preserver. A) If India do something against the treaty then there will be sever impact on pakistans socio-eco-political environment. So pakistan may go for revenge through illegal infiltration, to support J&K separatist with accelerateed mode. B) Indias neighborhood countries will afraid like Bangladesh. C) China may support to pakistan bcz China is ambitious about OROP, CPEC projects, so China may built dams across Brahmputra river in Tibet. D) Similarly in future when relation between India and Nepal go unhealthy, Nepal may act similar for Kosi river which is source for Bihar. E) Indias relationship with SAARC and SAFTA countries may become unhealthy. 3) Economy: If such actions take place by China and Nepal then It will affect on Indias agrarian economy, Navigation, inter state trade, fishing, recreation, tourism industry. 4) Ecology: Today world is facing for ecological degradation and it's impact on humans. Though India think about Indus water utilisation by dam but what about ecological system, environmental impact, flood, shifting course etc?. Conclusion: I think political issues shouldn't be solved by water. Instead issue solve, it will stretch further more. Terrorism will not solve by water. Some strategic action like international intervention, international isolation is needed with friendly assistance for ending terrorism.